Not the answer you're looking for? 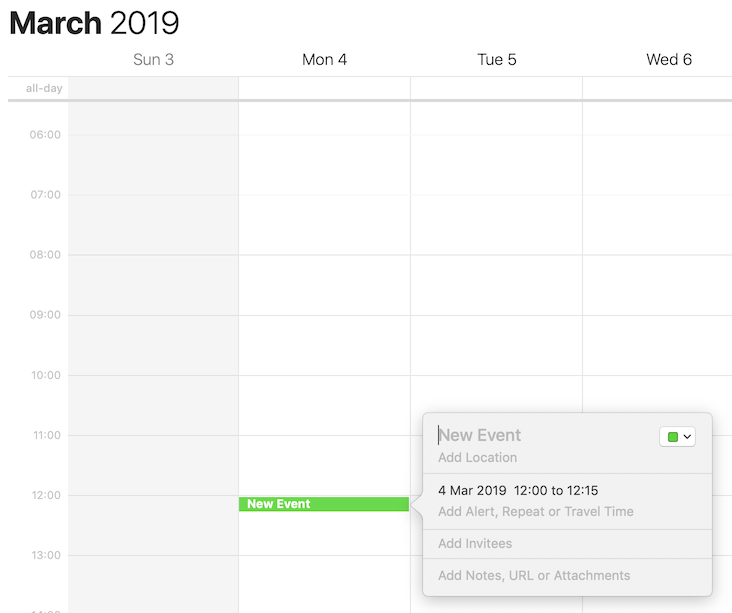 Browse other questions tagged macos calendar . How can I change the default alerts of Calendar (iCal)? How can I change the default 1 hour duration of a new appointment in the iOS calendar?